Reader can you spare a jellybean? 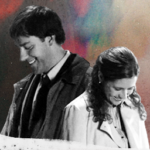 Disclaimer: MoreThanThat is a not-for-profit, fan-created site dedicated to The Office. It is in no way affiliated with NBC or the show's creators, producers, writers or actors. All materials are copyright to their respective owners.